Happy Rosh Hashanah! Apologies that I’m a little late on that wish. 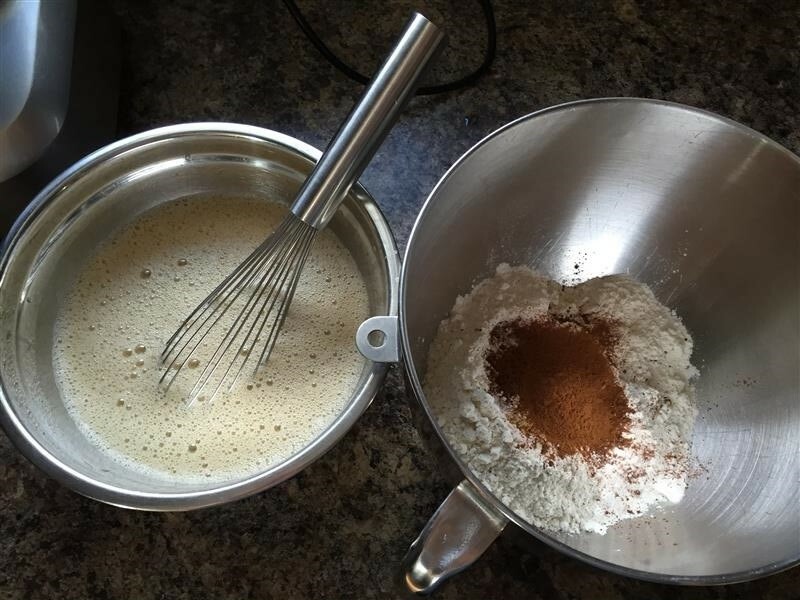 🙂 I thought that this week’s scheduled recipe from the “Rose’s Alpha Bakers” project would be a good one to give to Gilad for this month’s baked treat from last year’s Movember charity auction. I sent him a quick note, and asked how he would feel about honey cake. The answer was “Sounds good. Just in time for Rosh Hashanah (Jewish new year) ;)” Perfect, I figure. 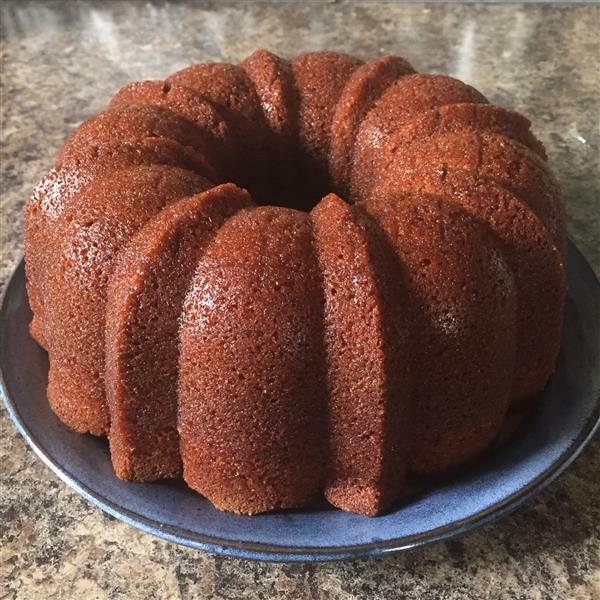 After a little help from Evil Cake Lady, I figured out that the only thing I didn’t have on hand was oranges for juicing, so I picked those up on the way home after the gym on Thursday night, then baked this on Friday morning. This is a super quick and easy recipe, and it smelled amazing. Dry ingredients in one bowl, wet in another. Mix up the dry, add the wet, whisk until it comes together, then beat for a minute and a half. As I mentioned above, this cake smelled amazing. Honey, coffee, orange juice, whiskey, cinnamon… The little taste I snuck out from the top (bottom when inverted) was delicious, too. I think this is going on the “make again” list, even if it’s just so I can try a proper piece. 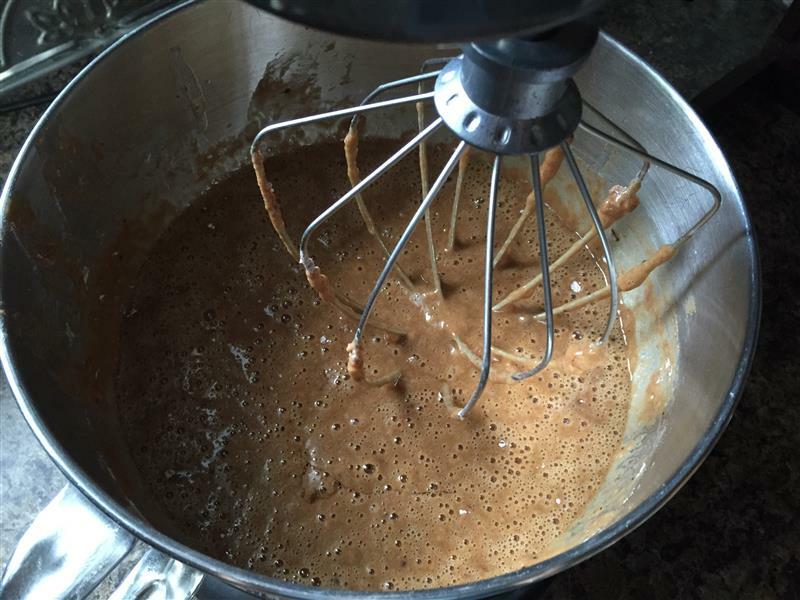 Posted on September 22, 2015 September 22, 2015 by KristinaPosted in The Baking BibleTagged cinnamon, coffee, honey, orange juice. Looks great. 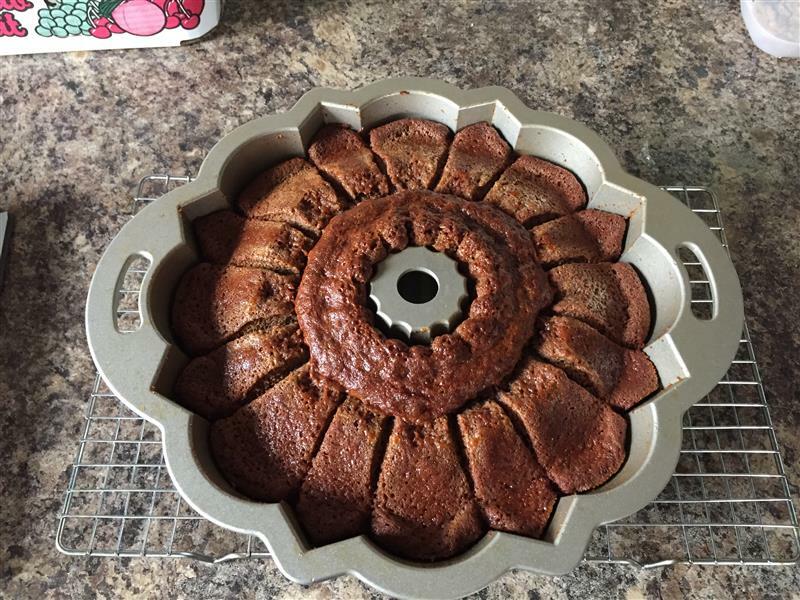 How did you get a pattern on the top of the cake? Does the pan have a lid? No, it just came out like that. I’m guessing some parts cooked faster than others or something, resulting in the weird stripes.